5 Natural Remedies for Menopause | What is Menopause? 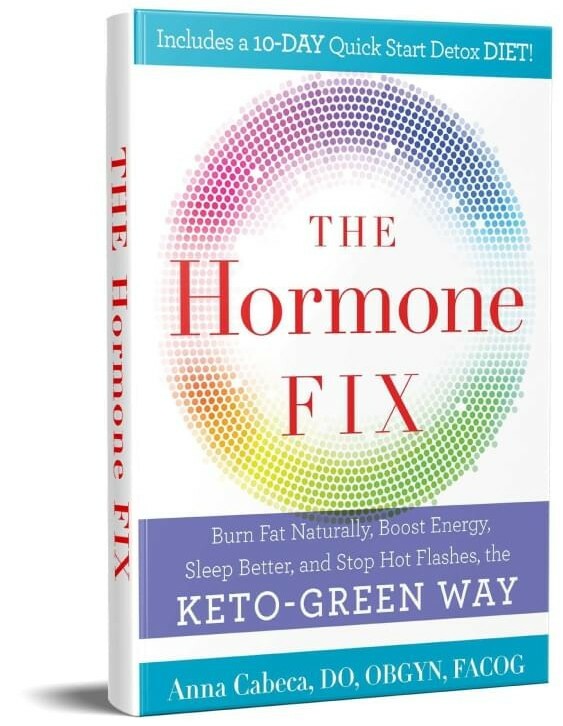 Buy the Book "The Hormone Fix"
Menopause is a life change that all women will encounter, and it is a natural, biological process that marks the end of a woman’s menstrual cycle and therefore, the end of her reproductive period. Although menopause may come with negative connotations, your attitude toward menopause has an impact on how well you’re able to adjust. For example, if you see menopause as the tragic end to fertility, sexuality, and youth, then it can significantly negatively impact your daily life. Having this mindset might tempt you to try to “solve” menopause with unproven treatments that might promise eternal youth. However, if you’re able to see menopause as simply a natural transition to a new chapter, you’ll be more able to accept it and handle it with grace and ease. That being said, the symptoms of menopause can be uncomfortable. Although prescription hormone replacements can treat menopause symptoms, you might want to give home remedies a try first. Thankfully, there are a number of natural remedies that can help ease your symptoms. Because Ginseng is readily available online and in most drugstores, it’s a great option to help relieve some of your menopause symptoms. For centuries, ginseng has been used as a sedative in Asian countries. Although ground ginseng root historically has been consumed as a tea, it can also be taken in capsule form. Ginseng can be used to increase energy and increase your resilience to stress during menopause, helping to prevent depression, anxiety, hot flashes, and cognitive damage. We recommend Micro Ingredients Organic Ginseng Powder, which you can purchase here. One of the best things you can do for your body during menopause is feed it well. Adding extra organic vegetables into your diet means you’ll be loading your body with fiber and antioxidants necessary for your body to manage appetite, slow the aging process, and balance hormones. Getting these extra nutrients is easy! Add spinach and other veggies into your morning smoothie, make a salad for lunch, and enjoy vegetable soup for dinner. If you find it tough to get in your veggies, a greens supplement may be your answer. We recommend Mighty Maca, which contains over 40 natural phytonutrients, antioxidants, and enzymes. This powder formula will help you feel energized and youthful, improve your sleep, fight brain fog, and improve your overall well being through menopause. Simply mix 1-2 scoops with water or a smoothie, and enjoy! When going through menopause, your body produces less estrogen, leading to vitamin D deficiency and making you more prone to developing osteoporosis. In addition, most of us are walking around deficient in vitamin D anyway, so this is a great supplement to add into your daily routine. Adding at least 600 IU of vitamin D can help make your bones stronger, while also boosting your mood and stabilizing your emotions. Sundrops Vitamin D Drops are easy to use and super simple to put into a smoothie or other drink you're enjoying. This particular drop is designed for infants, but we love it for ourselves too! Click here to purchase Sundrops Vitamin D.
Native to North America, black cohosh is an herb that is one of the most popular natural remedies for women with menopause symptoms. Its medicinal roots are ground into a dietary supplement, which you can purchase at most health food stores. In addition to menopause symptoms, black cohosh is also used to treat premenstrual syndrome (PMS) and menstrual cramps. It contains potent phytochemicals that have a positive effect on the endocrine system, which is what regulates your metabolism, sexual function, reproduction, sleep, and mood. We love the Black Cohosh and Vitex by EU Natural, so click here to purchase! Yoga has helped women who experience insomnia, mood swings, and hot flashes due to menopause. Taking up yoga may help improve your sleep quality and mood stability during perimenopause. Many yoga classes are accessible for beginners; however, you can also find yoga tutorials on YouTube if you're not comfortable hitting the yoga studio. Yoga can help bring mindfulness and peace into your life, and it’s a great relaxation tool when going through menopause. Maca is a super-root that grows in the high Andes of Peru. It was used by the ancient Incas as both food and medicine. Menopause is a natural, normal biological process that all women go through as they get older. This phase can include any of the changes a woman may experience just before or after her menstruation stops. Menopause marks the end of a woman’s menstrual cycle and therefore, the end of her reproductive period. Every woman is born with a limited number of eggs, stored in the ovaries. The ovaries also produce estrogen and progesterone, hormones which control menstruation and ovulation. Menopause occurs when the ovaries finally end their routine of releasing an egg every month. A woman may experience a number of changes, including loss of bone density and weight gain, that can have a profound impact on her life. It’s important to keep in mind that symptoms may be different for every woman, including changes in menstruation. It’s likely that you'll experience some irregularity in your periods before they completely stop. Perimenopause is the period when a woman's hormone levels and menstrual periods become irregular. During this stage, it’s normal and common for women to skip periods. Usually, periods will skip for a month or two and then return. Periods may also take on shorter cycles, making them closer together. However, despite irregular periods, it is possible to get pregnant. A woman is officially in menopause 12 months after her last period. Perimenopause encompasses the years leading up to menopause. During this time, women may experience changes in their menstruation, hot flashes, and other symptoms. Generally, the menopausal transition starts when a women is between 45 and 55 years old. The average age that women begin to experience menopause is 51 in the United States. Menopause, after the age of 40, is considered a normal part of aging. However, some women may go through menopause at a younger age. This may be due to surgery, such as a hysterectomy, or damage to the ovaries, which can be caused by chemotherapy. If menopause occurs before the age of 40, it’s considered premature menopause. Every woman is different and will experience menopause in different ways. On average, menopause lasts an average of four to five years, but may last as long as 14 years. For some women, menopause may only last a couple of months. Regardless of your experience, menopause is something that naturally occurs for all women but can be successfully navigated! Comment below and let us know your experience and what you found to be helpful while moving through this transition in your life. 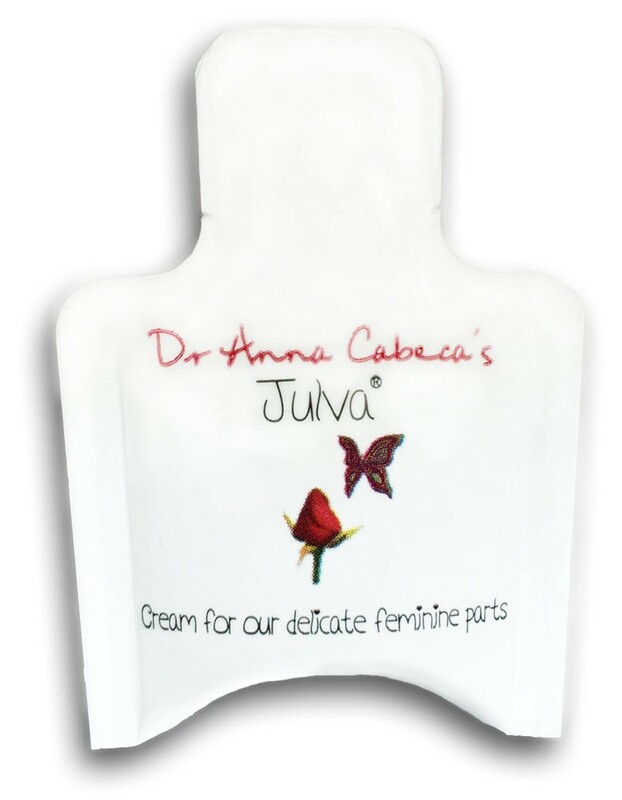 Check out our interview with Dr. Anna Cabeca. Dr. Anna promotes her unique keto-green diet and lifestyle as a safe and natural approach to relieving the nine worst menopause symptoms (brain fog, bladder problems, fatigue, weight gain, loss of intimacy, hormonal imbalance, vaginal dryness, and sleep disturbances) . Board certified in gynecology, integrative and anti-aging medicine, she’s designed a novel system for beating back the menopause blues and feeling youthful again. 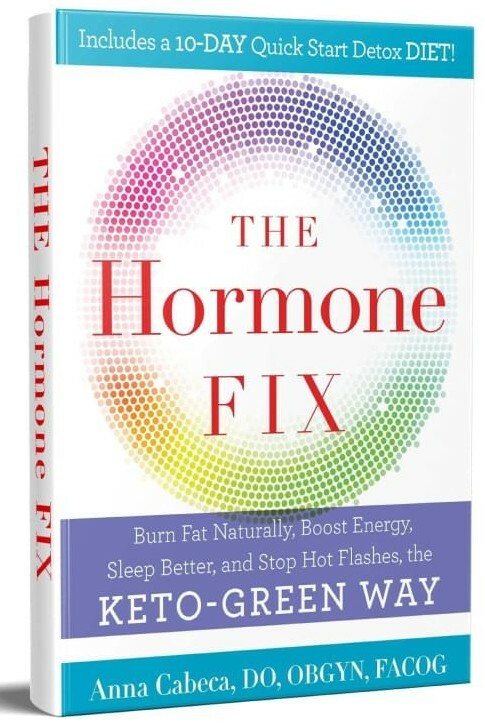 Dr. Cabeca just finished her brand new book: "The Hormone Fix." Click here to check it out and purchase. 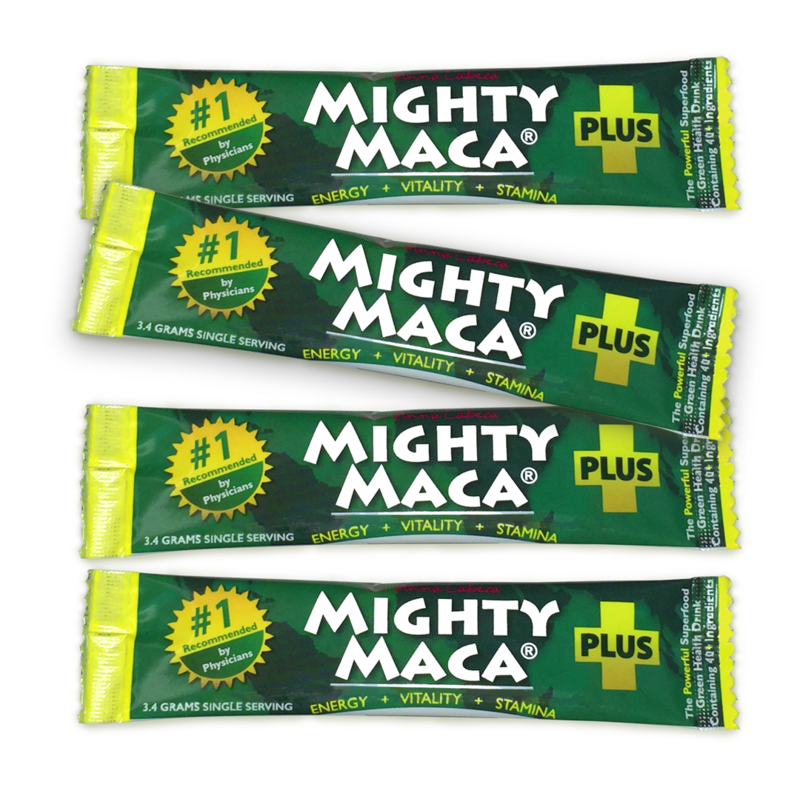 Try Mighty Maca Greens Powder FREE, just pay shipping. Try Julva Cream FREE, just pay shipping. What Blepharitis Treatment Can I Do At Home?